Last week Adrienne confessed that we never overcame our fear of buying a whole fish at the local market during our time in Split, Croatia. As most of you know, I’m quite stubborn and don’t like to admit defeat. It just so happened, I’d taken a personal day from work. 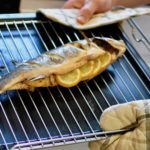 I decided to put it to use conquering my fear of purchasing, cleaning, and cooking an entire fish — right from the market. 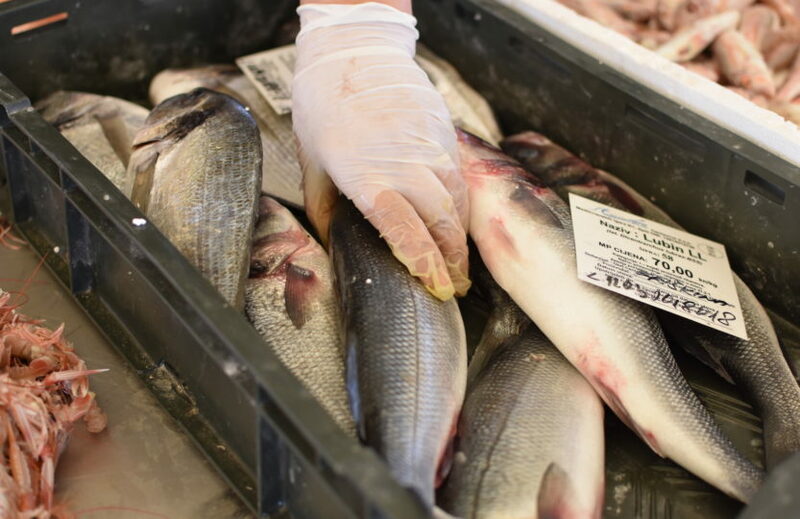 The best part about these fish are how fresh they are. 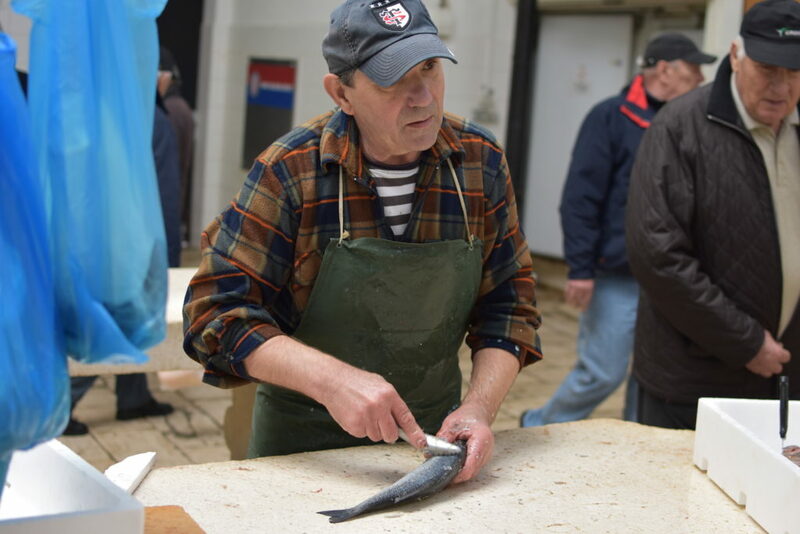 Every morning, boat after boat of just-caught mackerel, yellowtail, and hake are sold to the local merchants and presented for sale in the fish market. I arrived at the market with every intention of buying Red Mullet — local fish that we’d tried a few times at a small restaurant, Villa Spiza. The owner had patiently taught me how to debone the things. The experience felt like a good introduction to purchasing my own. But, of course, there was no Red Mullet to be found. Instead, I opted for a branzini (European bass), at the recommendation of the monger that it was easy to cook. I pointed at one and she wrapped it up and handed it over. An entire fish, guts, eyeballs, and all, was just sitting in my plastic bag. What the hell did I get myself into? A deep breath and a few stalls down I found a [Croatian word for market fish cleaner] with empty hands. He offered to scale, gut, and clean my branzini. 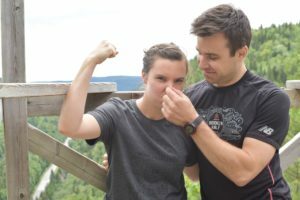 What I didn’t expect was that he would do it right in front of me. Not two seconds after I handed it over the scales were flying through the air, fish guts covering his hands. I decided something simple was the right way to go to let the flavor of the fresh fish shine. I seasoned the inside with salt and pepper and shoved in some lemons, garlic, and fresh herbs. Then I covered the whole thing with olive oil, salt, and pepper and threw it in the oven for 15-20 minutes. The last step before moving the branzini to our plates for lunch was getting (most of) the bones out. This was the fun part. 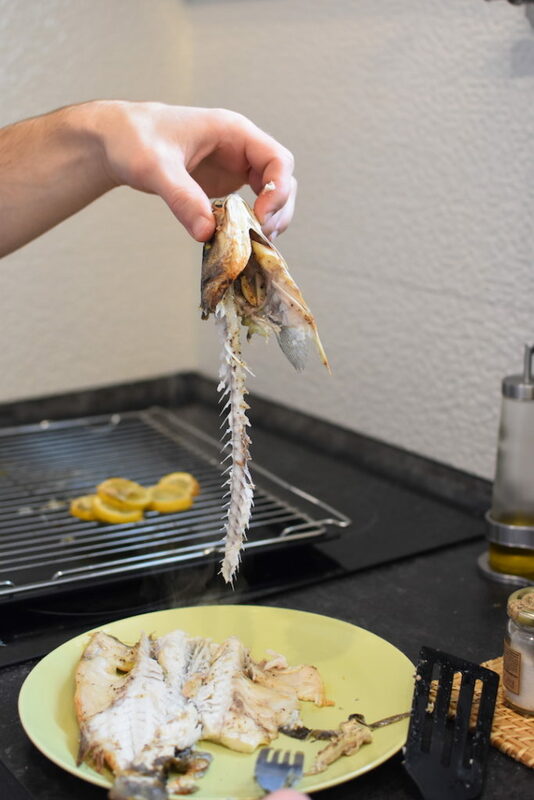 First, you spread the fish open and slid a knife down the middle to remove the spine. Adrienne came home for lunch just in time to see me holding the spine above the stove! 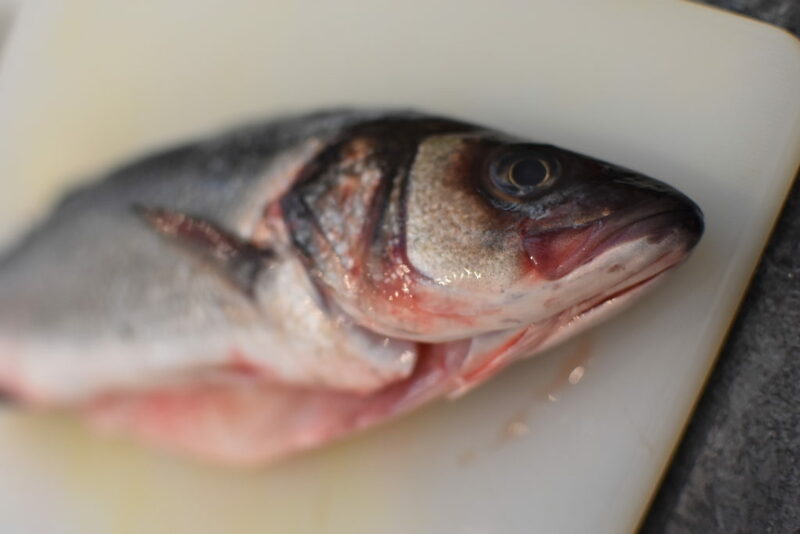 The bronzini turned out excellent, with tender, juicy flesh and crispy, salty skin. I had a few bones to pick out but that was part of the fun! Looking back, the whole process was actually pretty simple and would work quite well as an easy weeknight dinner. The hardest part was simply getting over my fear of handling the fish! As we make our way to Bologna next, I’ll definitely be seeking out the local market and seeing what fresh, whole fish I can tackle next. Season inside of fish generously with salt and pepper. Lay lemon and garlic slices inside of fish. Liberally season outside of fish with olive oil, salt, and pepper. Make three diagonal slits on each side of the fish. 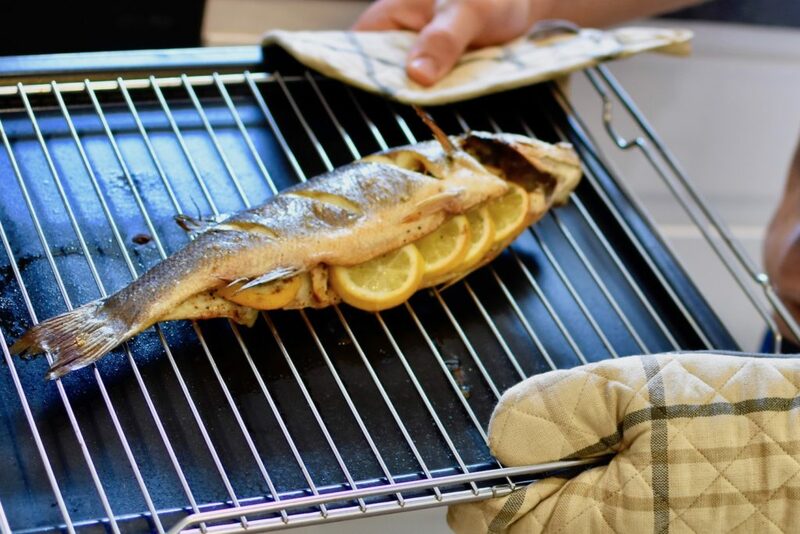 Bake for 15-25 minutes, until skin is crispy an no pink remains inside the fish.